By David Hochschild and David Olsen. 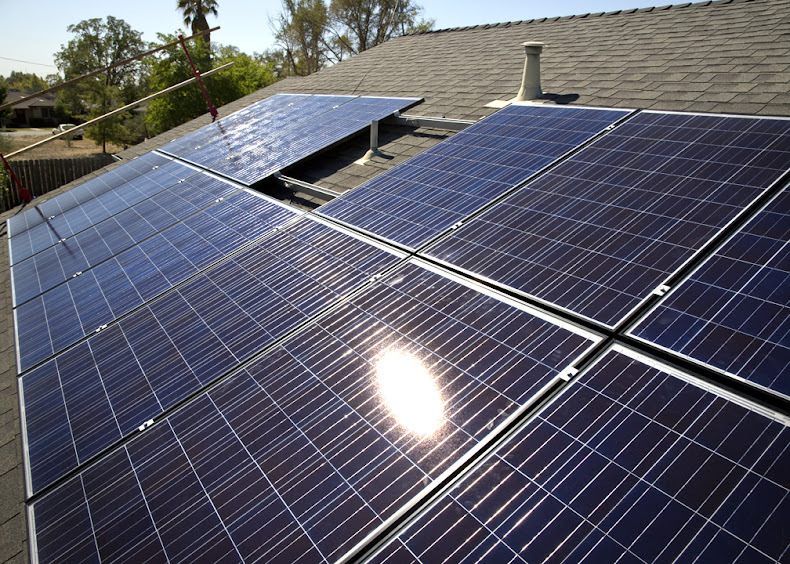 In 1986, President Ronald Reagan famously removed solar panels from the White House roof, capping a misguided energy policy that severely slashed investment in renewable energy. Thirty-one years later, President Trump has committed a more consequential mistake by rejecting the Paris climate accord. But the story of how solar energy survived and thrived after Reagan holds an encouraging lesson for us. After Reagan, states such as California stepped up and invested heavily in solar research, development and market incentives. Despite being slowed by a reduction in federal support, the progress over time was dramatic. Since Reagan’s election, the price of solar panels has fallen by 99 percent. Last year, solar energy was the single largest source of new electricity generation added to our nation’s electric grid, contributing about 40 percent of the total. Solar energy provides jobs for 260,000 people in America, compared to just 65,000 by the coal mining industry. Wind energy, which followed a similar trajectory, now employs more than 100,000 U.S. workers. Bold leadership to combat climate change in the United States will not come from Washington, D.C., but from a combination of state and local efforts. But for these efforts to succeed, one falsehood must be debunked immediately. U.S. Energy Secretary Rick Perry recently signaled that the Trump administration may soon seek to undo all state and local renewable energy policies across the country on grounds that clean technologies such as wind and solar power pose a threat to grid reliability and, therefore, jeopardize national security. While a convenient myth for the fossil-fuel industry, this is nonsense. To begin with, in the interest of national security, the military itself has become a national leader in adopting renewable energy. The U.S. Navy, for example, is quickly moving toward its goal of using 50 percent renewable energy by 2020. In California, which has installed more clean energy than any other state, there have been no threats to the reliability of the electric grid caused by renewables. Instead, the three biggest threats to our grid over the last 20 years came from market manipulation (Enron et al, during the 2001 energy crisis), a nuclear plant failure (San Onofre, 2012) and the largest natural gas leak in history (Aliso Canyon gas storage facility, 2015). Rather than create these emergencies, renewable energy was part of the solution and continued to operate reliably and prevented these events from becoming worse. Almost two-thirds of the new electric generation capacity added to the grid in the United States over the last two years has come from wind and solar. From a reliability perspective, this is a positive development. In August 2011, when a heat wave in Texas shut down 20 natural gas plants, it was wind power that kept the electric grid operator from having to black out areas of the state. In Iowa, wind power now provides 37 percent of the state’s electricity with no reduction in reliability. What happens when the wind doesn’t blow, or the sun doesn’t shine? To answer that question, one needs to examine the many countries that have more renewable energy than we do. Wind and solar contribute a share 2.5 times larger in Germany’s electricity mix (18.2 percent in 2016) than they do in the United States (6.9 percent). Germany produced 82 percent of its electricity from renewables for a period of several days in May. Denmark gets 100 percent of its electricity from renewables on many days of the year. Yet both nations have electric grids that are 10 times more reliable than America’s. Germany and Denmark average 23 and 24 minutes of customer outages per year respectively, while the United States averages 240 minutes per year. These electric grids share several features that create stability. They have a diverse mix of renewables — onshore wind, offshore wind, photovoltaic and solar thermal power, geothermal power, hydropower and energy storage, mainly in the form of water pumped behind a dam. The European grid is a regional grid, and the sun is almost always shining, or the wind blowing, or water flowing, somewhere in Europe. Countries like Germany and Denmark also pay a lot of attention to weather forecasting, so that they can accurately predict and plan for how much solar and wind power they will generate. And they have electrified more of their economy than we have, including much of the rail network. These are the defining qualities of the clean electric grid of the future. Clean energy is good both for the grid and the bottom line. That’s why the private sector here at home is now helping make it happen. Google, Walmart, General Motors, Facebook and Apple have all committed to using 100 percent renewable energy. If the Trump administration does indeed seek to roll back state and local renewable energy policies on grounds that it jeopardizes the electric grid, then it would constitute yet another historic mistake. Rather than representing a threat to our electric grid, renewable energy is its future. David Hochschild is a commissioner with the California Energy Commission, the state’s primary energy policy and planning agency. David Olsen is a member of the California Independent System Operator Board of Governors, which runs the state’s electric grid. This commentary was originally published in the San Francisco Chronicle on June 16, 2017.